In the summer of 2020, the Ter Borch Foundation will present ‘Food Culture in the Dutch Golden Age’. 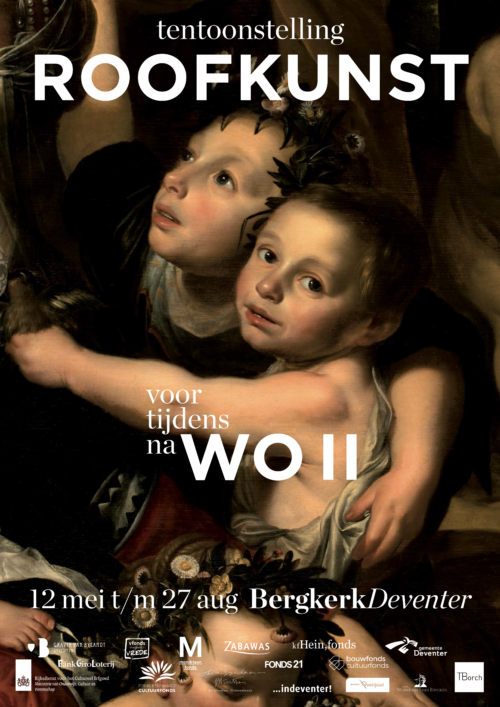 This new exhibition will be held in the Bergkerk in Deventer, and will include loans, mostly majestic still lifes, from the Dutch Cultural Heritage Agency and several Dutch Museums. Slow food, organic products, vegan food, locally grown and sustainable products are all the rage. Food Halls appear everywhere in Europe. Chefs – especially tv and internet chefs- exude rock star appeal. The presentation of food is trending too: cook books are the eye catchers at every self-respecting bookstore. They are more often found on the coffee table or by the bedside than in the kitchen. #foodporn is on of the highest ranking search words on social media. A growing number of people take cooking classes. It seems appreciation for culinary history is growing, too. How did our ancestors eat? 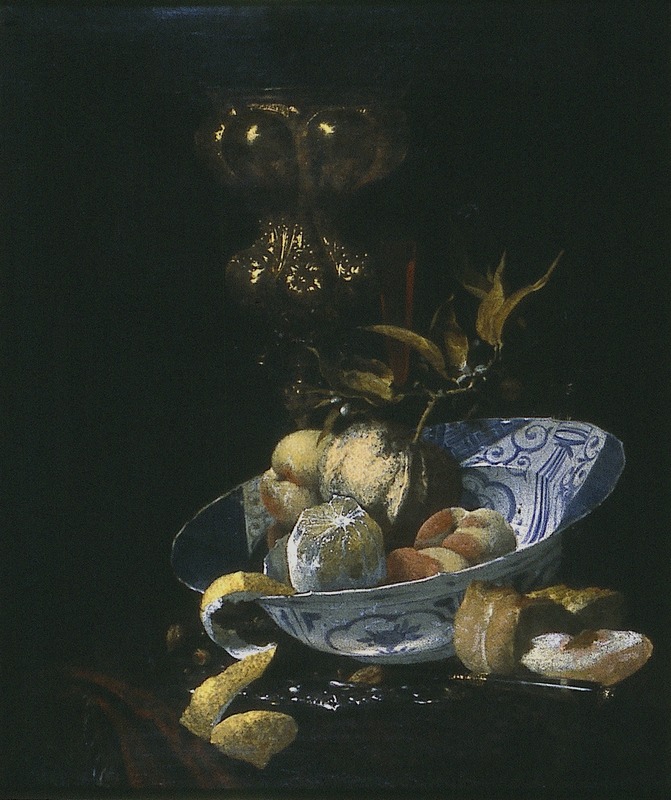 In the Dutch Golden Age, the 17thcentury, food culture changed dramatically. The spicy medieval kitchen was cast aside and fresh, somewhat acidic flavours were introduced. 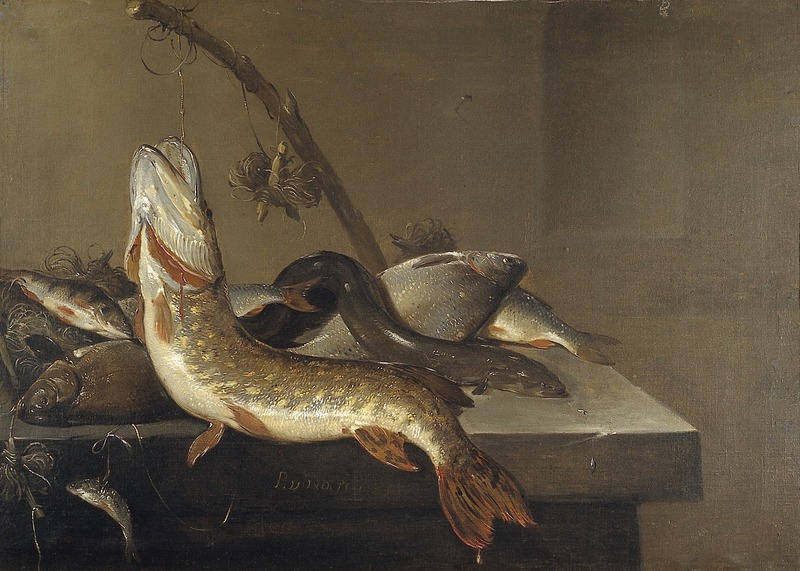 Our exhibition aims to introduce Dutch Golden Age food culture to a broad audience, including societal background information, recipes from the Golden Age and more. The story will be told by our curator, culinary historian Manon Henzen. The Nazis -first and foremost Hitler and Goering- demonstrated an incredible fervor for collecting fine art. A great number of artworks ended up in German hands during the occupation of the Netherlands. Some works belonged to art dealers such as Jacques Goudstikker, others to private collectors like Fritz Gutmann . After the Second World War the American Monuments Men sent back thousands of art works to the Netherlands, from whence they had been acquired or looted. They told the Dutch government it should return these works to their rightful owners. However, only a small number of works were actually returned. When the owners -often Jewish- claimed their property, they were often met by a bureaucratic and uncooperative government. It took the heirs of art dealer Goudstikker more than sixty years to be vindicated. This was also the case with the heirs of art collector Gutmann. The works, in the mean time, were divided among the Dutch museums or auctioned. The remaining works have since been in government keeping. the collection is known as Nederlands Kunstbezit. Works from this NK-collection were the core of our exhibition, Looted Art in the Netherlands. It was not until the late 1990’s that the restitution policy became more humane and a conscientious search for the rightful owners ensued. The exhibition showed art works from the collection Nederlands Kunstbezit. We tried to narrate the often devastating stories of their former owners. There were some paintings in the exhibition of which the original owner is still unknown as of today. 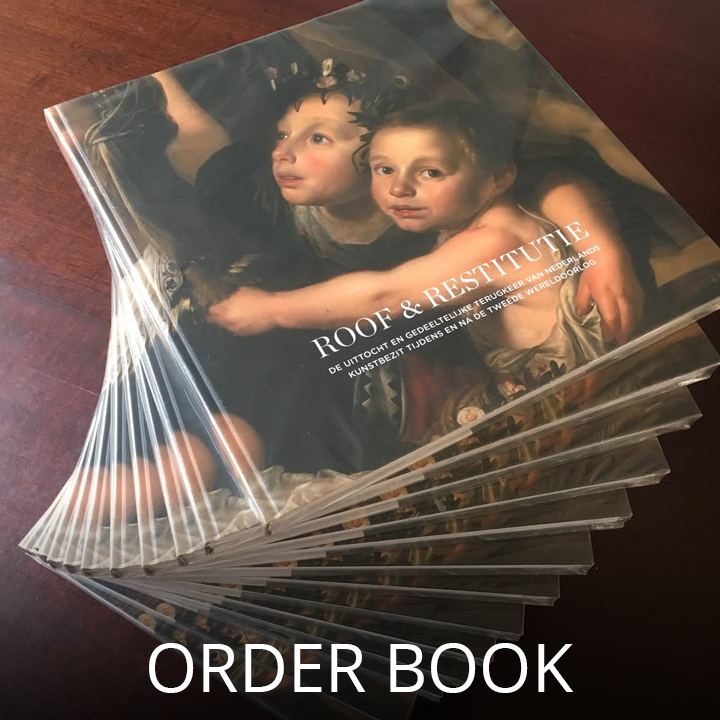 The publication Roof en restitutie, written by Rudi Ekkart and Eelke Muller, accompanied the exhibition. This publication is in Dutch with an english abstract and is still available. 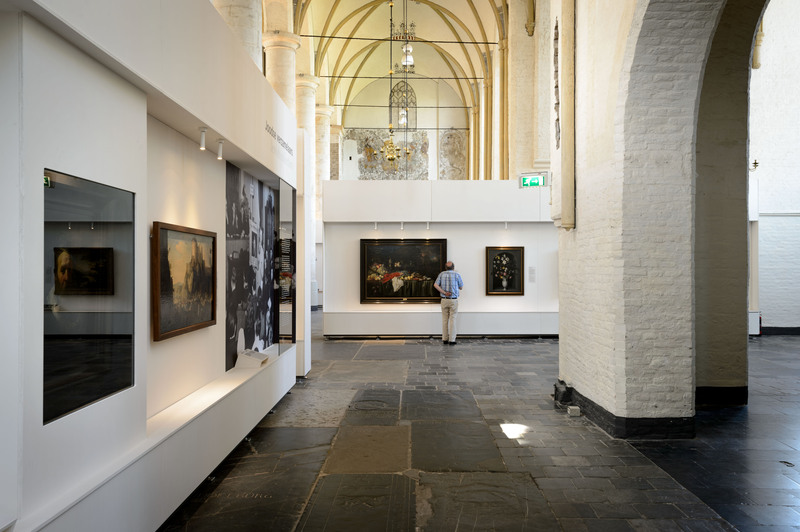 This exhibition was the Ter Borch Foundation’s first project. It was internationally acclaimed by New York Times, BBC and Haaretz. Curator of the show was prof. dr. Rudi Ekkart, who has chaired the research committee for restitution -Commissie Herkomst Gezocht- since 1997. The commitee was charged with researching and locating the rightful owners of nazi-looted art, and it advised the government to install a more humane restitution policy. Historian Eelke Muller was co-curator. Julie-Marthe Cohen of the Jewish Historical Museum curated the Judaica element. The exhibition was designed by door Studio Koster Van Lienen.